Check out our Frequently Asked Questions – if you can’t find an answer to your query, please get in touch. How do I determine what finish I have? I have a Surface Coating Finish, what products are appropriate? Use Synteko SuperClean (diluted 1:20 with warm water) and dry/damp mop the floor for weekly cleaning. Periodically use Synteko Remover (diluted 1:40 with warm water) to dry/damp mop the floor and especially prior to re-coating the floor surface. Learn more about maintaining this finish. I have a Penetrating Oil Finish, what products are appropriate? Wash the floor weekly with Synteko Soap ( diluted 1:20 with warm water). The Soap is an essential process in maintaining the longevity of the penetrating oil floor. Periodically wash the floor with Synteko Remover, especially prior to re-buffing the floor with maintenance oil (Recover). How do I maintain my surface coating finish floor? Sweep the floor daily with an electrostatic dust mop (Glitsa mop). Ensure that felt floor protectors (Safeglides) are fixed to all chair legs. Have good quality mats at all external/internal access ways to trap dirt entering the inside of the house. Wash the floor with Synteko SuperClean using a dry/damp mop. 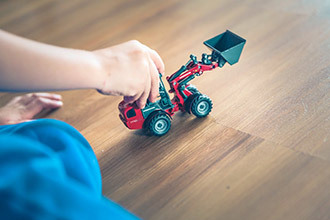 Avoid dragging any object across the floor surface that will scratch the coating and be carful with rubber soled shoes that could scuff the surface. How do I maintain my penetrating oil finish floor? Sweep the floor daily with an electrostatic dust mop (Glitsa mop). Ensure that felt floor protectors (Safeglides) are fixed to all chair legs. Have good quality mats at all external/internal access ways to trap dirt entering the inside of the house. Wash the floor weekly with Synteko Soap in order to nourish the oiled floor. Regularly maintain the floor with the Recover maintenance oil. Learn more here about maintaining this type of finish. Yes! For orders over $75 in total, we ship anywhere in Australia for free. For orders under $75, it’s a flat rate of $12 Australia wide. No. We only service Australian based orders. What's your returns / refunds policy? Please see our Ordering Info page here for all the details.